Hey everyone! 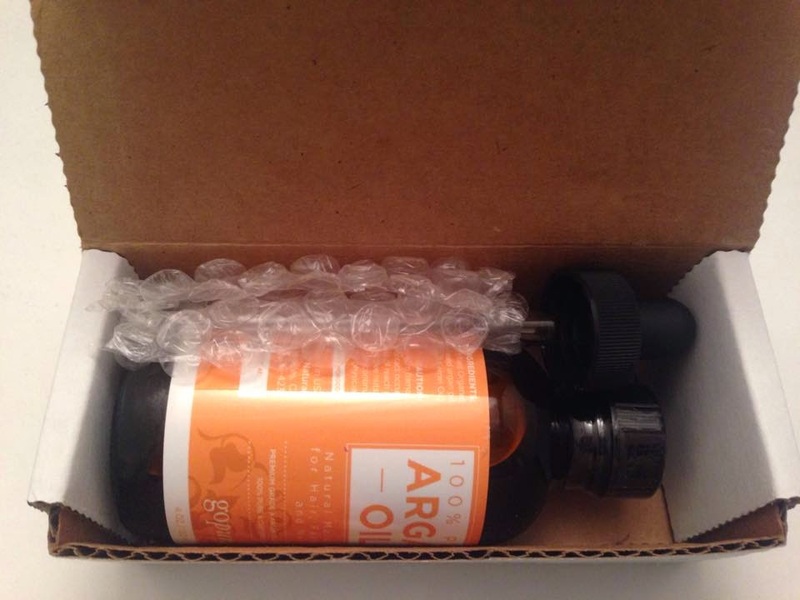 I recently received goPure Naturals 100% Pure and Organic Argan Oil for review purposes. I've been testing it out in comparison with Julep's Elixir Organic Argan Oil and feel like I've used it enough to give an honest opinion. Packaged well. I like that the dropper was included separately in bubble wrap. 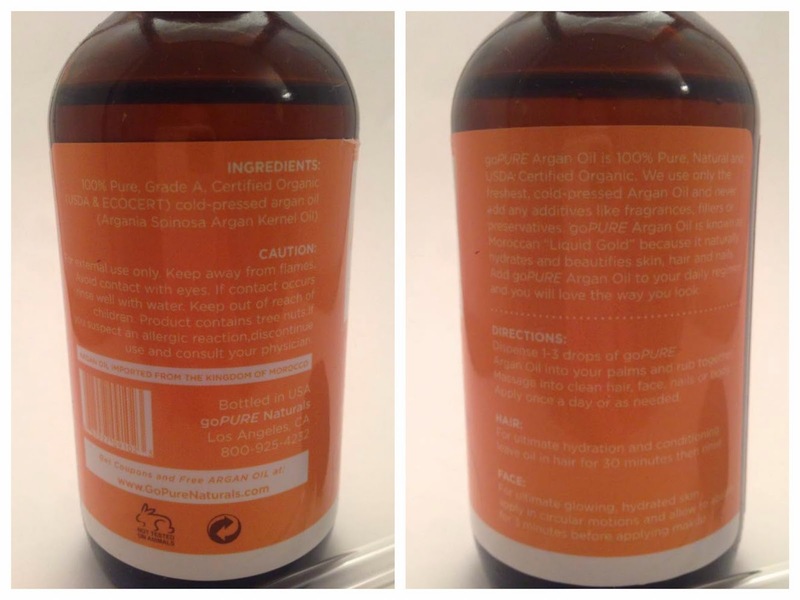 First, here's a little more information about goPure Naturals 100% Pure and USDA Organic Argan Oil. Their argan oil has been processed using a cold press method to best ensure the retention of the oil's rich minerals and nutrients. This Grade A argan oil has been triple purified, and is guaranteed to be the safest, purest oil on the market. Ingredients and detailed directions on the label. To use, simply massage the organ oil directly into the skin wherever you wish to take advantage of its healing, nourishing and rejuvenating properties. Alternately, argan oil can be added to your favorite lotion to boost its ability to provide all day hydration. Whether you use it alone or add a few drops to a store-bought lotion, argan oil will provide deep, lasting moisture. I like to add it to my Aveeno daily moisturizer and it keeps my face oil free! Argan oil can be used as a hair conditioner to make hair softer, silkier, shinier, and more manageable. It can also repair damage and tame frizz, or use it as a styling agent to add shine. I personally don't use argan oil for my hair because I find it makes it greasy. Argan oil is also a great treatment for dry, brittle nails. When massaged into the nails and cuticles, it moisturizes and softens the skin and promotes the growth of strong, healthy nails. I like to do this twice a day, once in the morning and once before bed. I even add a couple drops to my hand cream! With so many benefits, how could you go wrong? Argan oil is gentle enough for sensitive skin, like mine, yet powerful enough to provide healing relief to dry, cracked skin. A single bottle will last you a long time since a few drops go a long way. What I love most about this argan oil is it has no scent! I don't have to worry about pairing it with other beauty products. As for my comparison to Julep's Elixir Organic Argan Oil? Both are 100% argan oil. Julep's sells for $24 for 1oz while goPure's sells for $16.89 for 4oz. Plus goPure is always running coupons so you can get a steep discount. I think we know who the winner is. 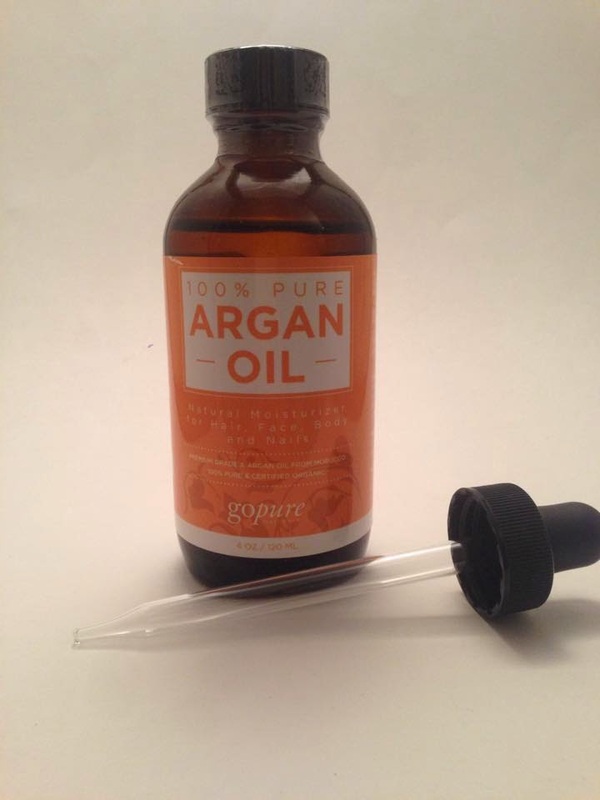 For more information you can check out the GoPure Naturals website, or you can purchase their argan oil on Amazon. This is awesome on scars and scabs too.